Are you wanting to refresh your look? Brighten up tired and dull skin? Plump up areas that have lost volume over time? Dermal fillers are injected to the soft tissue under the skin, and results are significant and immediate. Fillers are an outpatient treatment with zero downtime, so patients can resume their everyday life immediately after their procedure. Cheek fillers can completely reshape and contour a face, or simply add a bit more definition. 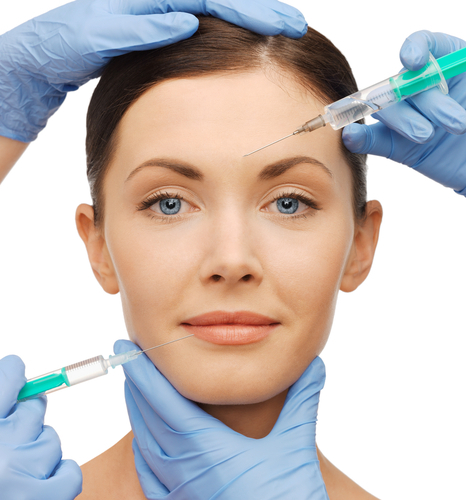 These dermal fillers allow the client to decide how minimal or drastic they want their results to be. Clients may opt to achieve their final results in one treatment or choose to gradually build up to their desired results, to ensure a natural look. Dermal cheek fillers can last from 6 months all the way up to 2 years, depending on the product, amount injected, and personal factors, like how the client cares for their skin, age, and lifestyle choices. Lip fillers are the most popular technique for lip augmentation today. 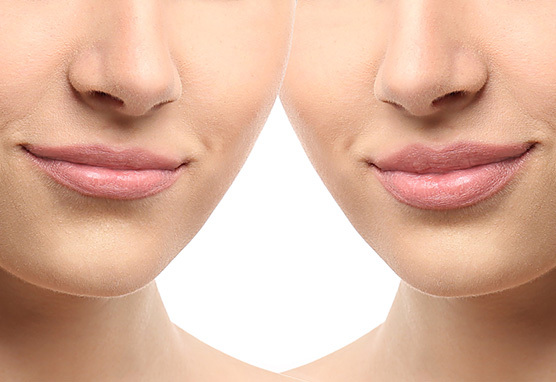 Lip fillers can sculpt and define, plump up volume, and smooth out undesirable lines. 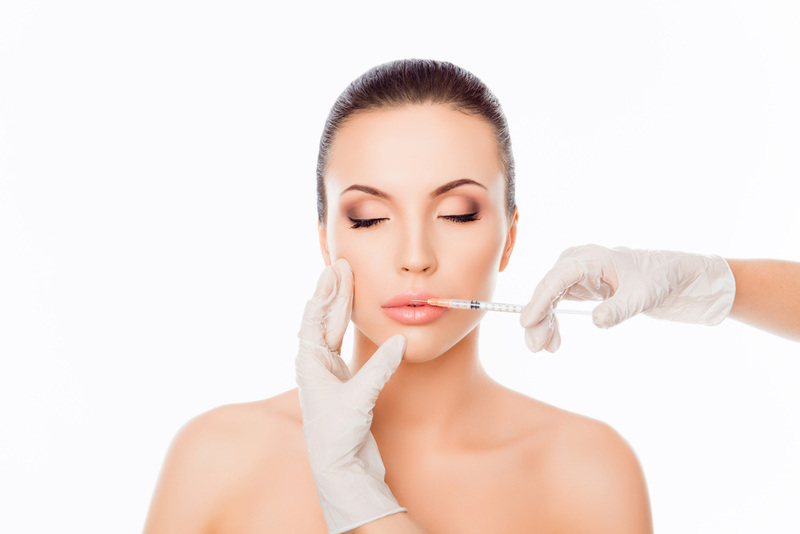 Best of all, lip fillers can be injected gradually, so clients have control over the look of their final results. Our clinic only uses lip fillers with a hyaluronic acid (HA) base, as this substance naturally occurs in the body. These products are safe, as they are both biocompatible and biodegradable. Lip fillers last between 6-9 months, depending on the product used, the amount injected, and individual factors such as lip shape, age, and lifestyle. You can tighten up sagging jowls and re-define your jawline without intensive surgery! Whether you are wanting to reverse the hands of time or strengthen a weak jaw that has been causing you self-doubt for a while, jawline fillers are a great option for drastic results without the steep price tag and extensive recovery time invasive surgery demands. Jawline fillers can add volume, tighten sagging skin, smooth out folds and creases, reshape and contour, define bone structure, and even slim the face. These fillers can last anywhere from 6-18 months depending on a number of factors. Call our clinic or email us to book your FREE consultation. We can’t wait to help you develop your personalized beauty plan.